For many New Yorkers, the key to living in New York City without breaking the bank is having roommates. 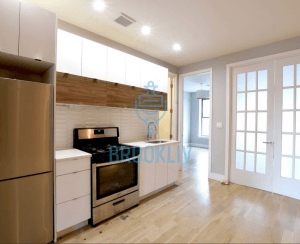 Here on BrickUnderground, we've already covered how to find an apartment with roommates, as well as how to find a roommate on Craigslist and how to navigate the world of temporary walls and bookshelf walls once you've found the apartment and the roommates. Living with a roommate is another story. Whether you are splitting a studio in half or just filling each bedroom with a different person, at the end of the day, it all comes down to being respectful of your co-habitants. 1. Be friendly, but don’t be afraid to speak up, too. A hostile environment can make a 700-square-foot space feel like 7 square feet. So whether you're co-habitating with a friend or a stranger, the general rule of thumb is to be nice. For example, if your roommate is always hogging the living room and it keeps you from using the common area and TV, just talk about it. Don’t passive-aggressively make a lot of noise when you’re cooking nearby or pass through the room silently—just speak up, and maybe even turn it into time to sit and watch together instead of turning it into a fight. Also don’t let someone walk all over you. If they’re not pulling their weight—whether in terms of cleaning, buying supplies or other things—speak up, and hopefully it will avoid awkward tension later if you’re open about issues. That means being upfront if you notice someone is always leaving the bathroom a mess or if you’ve bought toilet paper for the past three times. Start, “Hey, I noticed...” or “would you pick up...” and likely, they won’t object. Sometimes people just don’t notice. However, be careful with your tone. Being sarcastic won’t help anyone, and it will probably make them not want to help next time, or worse, ignore you altogether. 2. Clean up after yourself and try to have a cleaning schedule. Listen to what your mother told you growing up and clean up after yourself. This means washing dishes (or putting them in the dishwasher if you're lucky enough to have one), and doing your part to keep the place looking tidy. I’ve found it’s best to have a cleaning schedule to make sure the entire apartment gets a sweep-down every other week; let's face it--we're not talking McMansions here, so it really doesn't take that long. But if your roommate isn’t into that, try to keep tabs on who cleans up without being a nagging mom. It all comes back to rule No. 1—friendly, yet not a doormat. Alternatively, if none of you want to clean, talk about getting a monthly or bi-monthly cleaning service. 3. Be respectful about guests -- both regulars and those of the one-night variety. If you have a boyfriend or girlfriend, don’t let them just come over 24/7—especially if you live with more than one person. The more people in a small space, the more cramped it feels. This isn’t to say that you have to ask permission, but just make sure you’re not adding a third (or fourth!) roommate who doesn’t pay rent or constantly having people come over and party without consulting your roomie(s) first. Have boundaries (or even loose “rules”) about guests and stick to them. There are exceptions, but that’s something to discuss with your apartment mates instead of just assuming it’s okay. 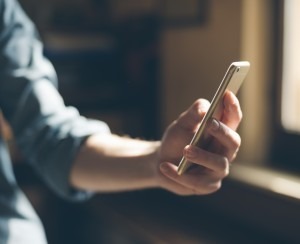 It’s all about communication—group texts are great for quick questions about friends coming to visit, a significant other staying a few days, parents in town, etc. 4. Pull your weight with household supplies and bills. Make sure to always pay bills on time if you’re splitting them with your housemates, and if you notice toilet paper is gone, don’t want for someone else to buy it. Having an unspoken rotating schedule (or even a shareable Google Spreadsheet) of who buys toiletries is great, but don’t be afraid to ask your roommates if you’ve bought paper towels the last five times. They probably just didn’t notice the apartment needed any since it was so well-stocked! 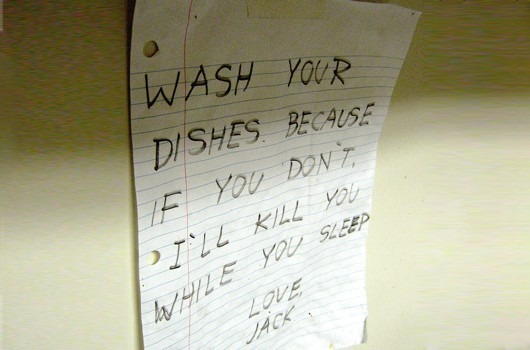 Oh, and on the note of supplies, never eat your roommate’s food. Just don’t do it. Ever. 5. Know your boundaries. This applies to friends and strangers alike, because not everyone understands that just because you have a roommate doesn’t mean you have to hang out all the time. Yes, it’s great to marathon Orange Is the New Black together on Netflix or go check out the new neighborhood brunch place on Saturdays, but remember that it’s okay if you have some time apart; in fact, it’s healthier to give yourself some alone time every day. Respect your roommate’s boundaries, and remember you don’t have to feel obligated to hang out. Close your door if you feel like watching a rom-com by yourself or catching up on a pile of magazines you’ve neglected—they won’t mind. With that said, it’s always nice to share a meal and/or a bottle of wine together, which is one thing you can’t get in a studio alone. 6. Bathroom basics Morning rush hour between 7:30 and 8 a.m. can cause some major gridlock if you're sharing a bathroom and all need to shower around the same time. We're not all morning people, and sometimes shower gridlock can bring out the worst in all of us. Here, too, a schedule can help. If you go to the gym every morning and can shower there -- even better. Side note: Be specific when you move in with someone new about levels of cleanliness that you expect in the bathroom. For some, it means a deep scrub of the shower weekly with touch-ups all week, while for others it means a monthly deep clean with a few touch-ups in between..
And whether you’re living with guys or girls, be neat and check the seat. You should know exactly what I mean by that.